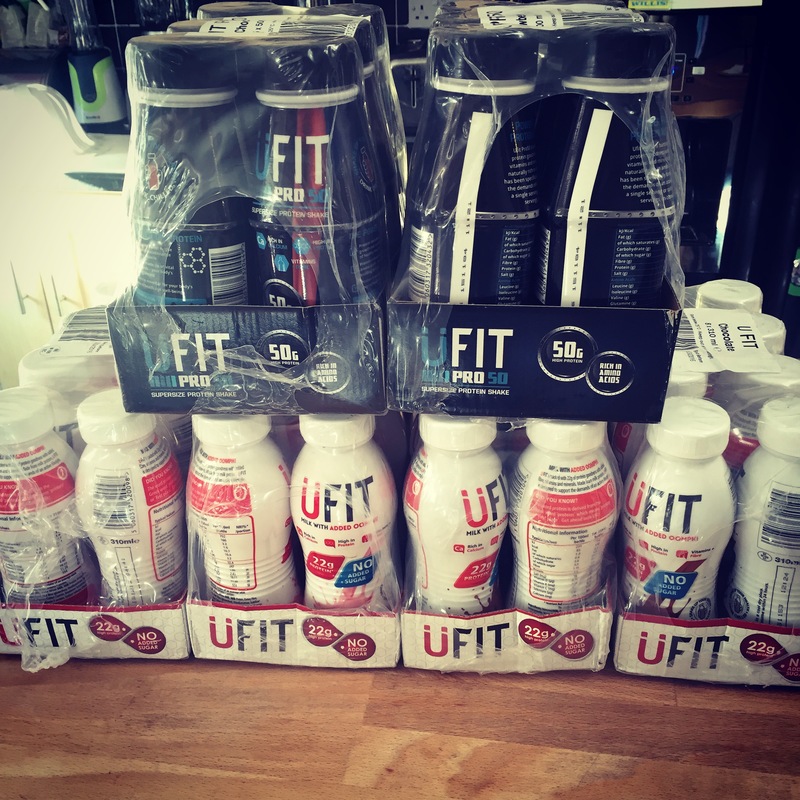 The lovely people at The Protein Drinks Company were looking for people to review some of their product and it fit quite nicely for me to do with my new active lifestyle. I am surrounded by cyclists, runners and generally super fit and healthy people and as I currently only have 1 or 2 rest days most weeks I am conscious that my nutrition is something that cannot slip in order to get the best results from my training. Protein put simply is important for the growth and development of muscles. Protein assists with the development and maintenance of lean muscle mass and can benefit overall health, also increasing metabolism and acting as an aid in weight loss. Protein is of course not the only element for nutrition during training and should be taking into consideration along with carbohydrates and fat. Homemade protein drinks are the preference in our house and my husband loves to experiment with our Nutri Bullet though there is an increase in ready made protein drinks that you can buy from most supermarkets now for ease. The drinks were delivered just in time for our annual cycling club BBQ and so I was able to hand out to members of the club in order to get more feedback than just mine! Most thought it was easy to drink. 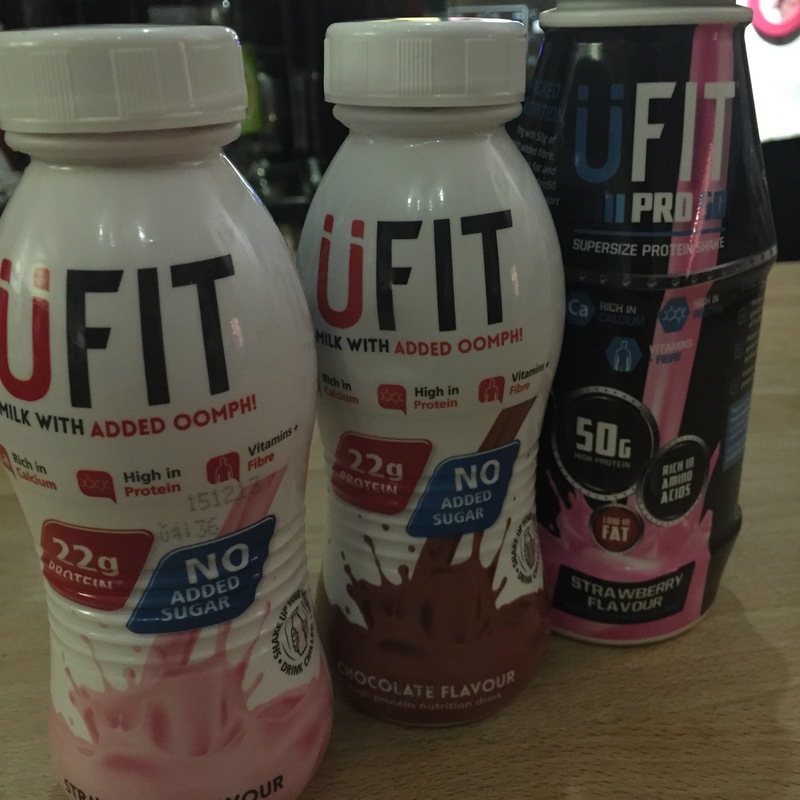 Most thought the U Fit Milk with added oomph was a good consistency; I agreed – I’m not a fan of thick shakes or smoothies and so would have been put off it if were an overly thick consistency. Low fat – however, compared to other shakes on the market it is a little on the high side by comparison but just a little. Favourite flavour seemed to be hands down strawberry over the chocolate. Handy as a pre made protein fix and to drink on the go without having to mix. 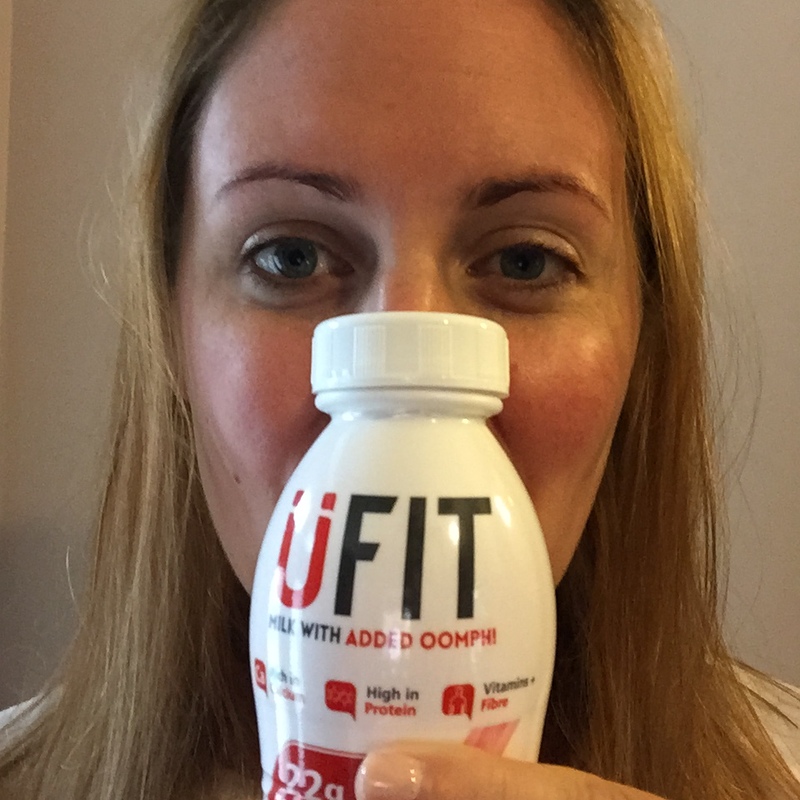 The U Fit Milk with added oomph is priced at £2.00 per bottle in Tesco and currently half price so you may want to stock up while it is only £1.00 per bottle (until mid-September)! A couple of people did think the consistency was a little too thick and heavy for their tastes. The Pro 50 seems to be a lot thicker and would be better split over two servings rather than just the one. The benefit of mixing from powder does mean you can determine the consistency better. The bottle says to ‘serve chilled and shake up your health’ – do shake the drink otherwise there is a slightly oily taste to it. There was a general consensus that although it was fine whilst drinking there was a slightly artificial aftertaste. The chocolate flavour tasted a little on the tinny/metallic side. The Pro 50 is priced at £3.75 per bottle in Tesco and so slightly on the expensive side compared to other brands marketing similar products so maybe not an everyday purchase. Considering the pros and cons lists above seem heavier on the cons most people said that they would buy and use again. I would say if you like a thick shake you will love the Pro 50 but if you don’t then, like me, this one will probably not be a hit with you. It does say they are for ‘use between meals as a nutritious snack or on the go when you’re pushed for time’ and that sums it up for me; for me they would be post workout rather than just through the day and more of a quick fix if I were out and about and wanted to buy something like this without having prepared my own rather than part of my weekly shopping list or my regular diet, I am afraid. A good product, and one of the better tasting protein shakes out there, and I would drink again though for me only as an emergency quick fix. Entry 88 – I took the plunge and joined a running club! Great blog as always Lisa! But “I’m surrounded by super fit and active people” – errrrrrm you are one of those people!!! Whilst I eat really well generally, I’ve just started training hard after a little break and I need to get better at fuelling pre and post workout. What’s your go to things to do that?